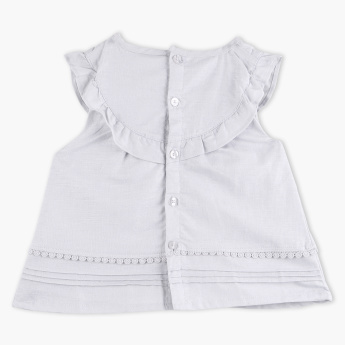 Lend your child a stunning look by adorning her in this Top. 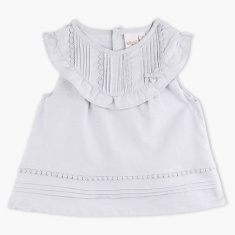 Featuring ruffle detail along the yoke, this t-shirt offers a beautiful look to your child. Being made from a soft fabric, this t-shirt is extremely comfortable.